In this lesson, you will learn about features that are useful when sharing and working with others. Learn to password protect a workbook. Learn to password protect a worksheet. Learn to password protect ranges in a worksheet. Learn to accept and reject changes. Learn to list all changes on a new sheet. 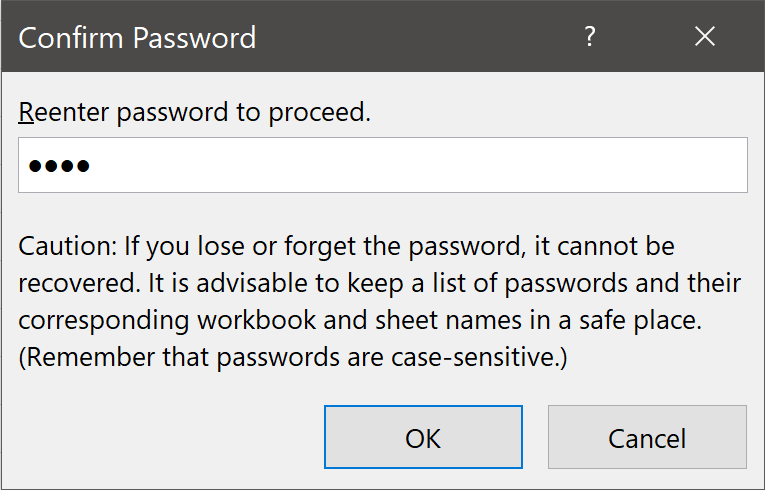 Password protect a workbook. You can protect your workbook with a password, thereby preventing people who do not know the password from opening or modifying (your choice) the workbook. Password protect a worksheet. You can protect individual worksheets with a password. Others can view the sheet, but you determine what, if any, changes they can make without a password. Password protect ranges in a worksheet. 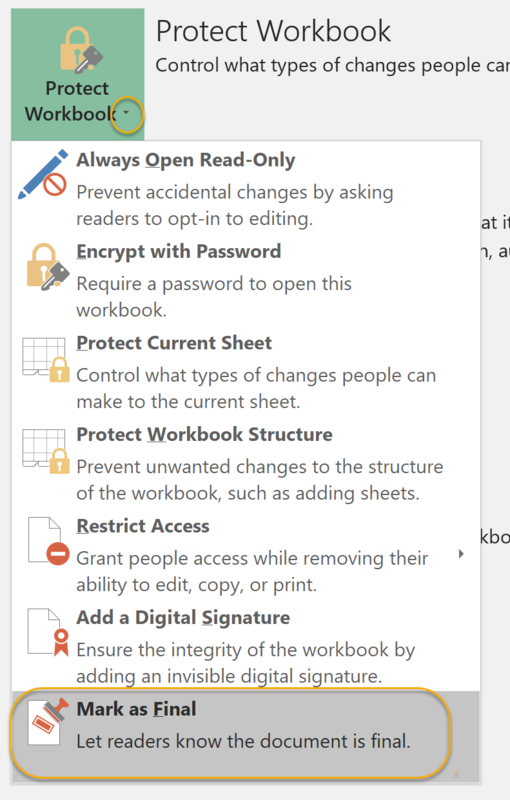 If you want to allow people to edit some cells in a worksheet, but not others, you can protect the worksheet but leave those cells you want people to edit "unlocked" and, therefore, editable. Before you share a workbook with others, you may want to remove its metadata, which can include sensitive information. 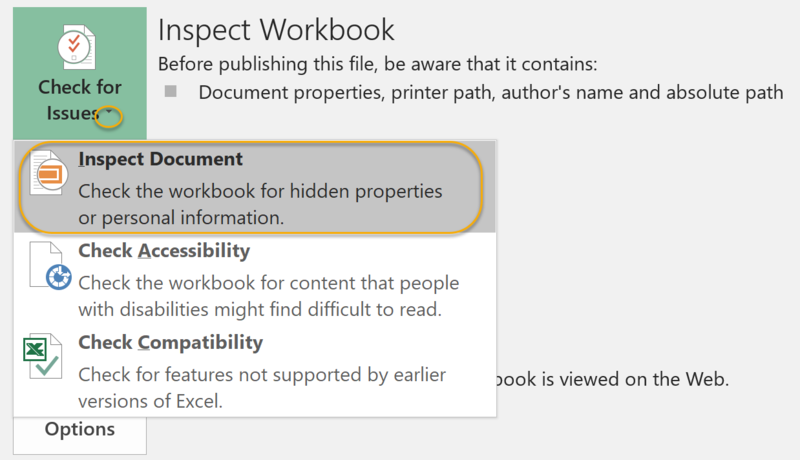 Select the File menu tab, and from the Info section, in the Inspect Workbook section, select Check for Issues. Select Inspect Document from the drop-down list. 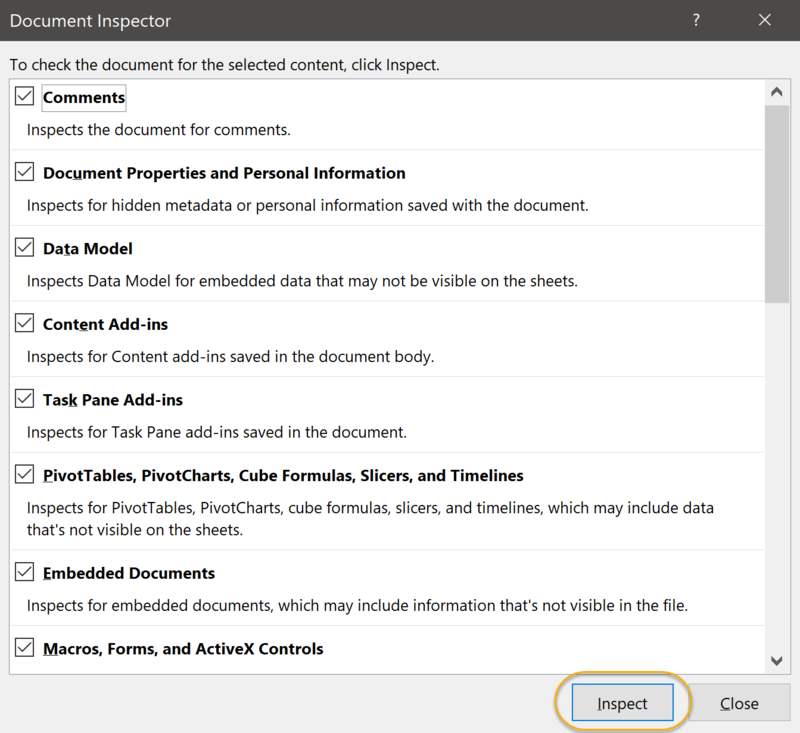 Set options in the Document Inspector dialog box, and then click Inspect. Use the information that is returned to clean up your workbook. When working with others, you may occasionally need to restore an Excel file to a previous version. To do so, use the History tab in Backstage view. 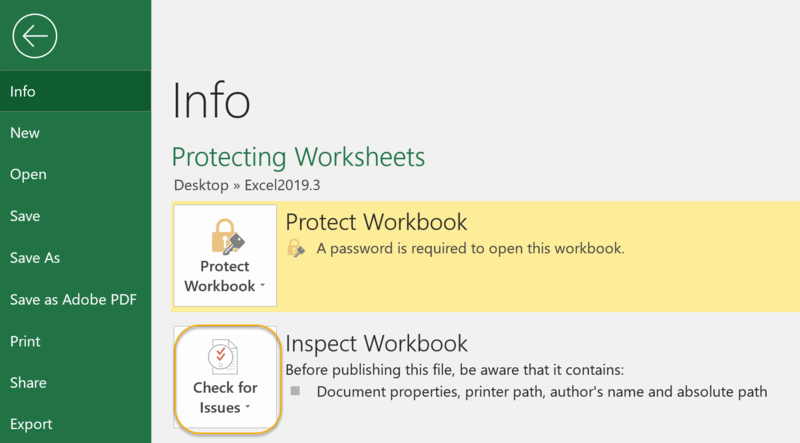 Select any cell in the worksheet you want to protect. 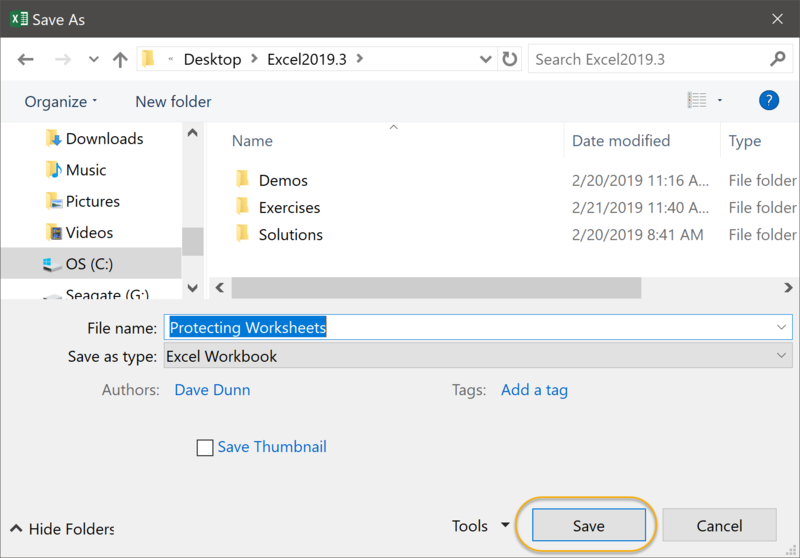 Watch and follow along as your instructor demonstrates how to protect a worksheet while still allowing users to make various specified changes to the protected worksheet. Select the cells you want to "unlock." Protect the worksheet (see instructions provided earlier in this lesson). In this exercise, you will password protect a workbook to prevent people who do not know the password from opening it. 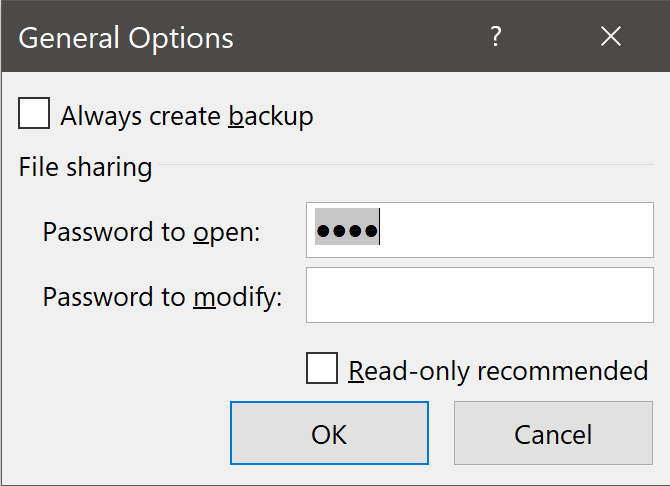 Open Password Protect.xlsx from your Excel2019.3/Exercises folder. Save the workbook so that others cannot open it without entering the password "OpenMe!". In this exercise, you will password protect a worksheet to prevent people who do not know the password from editing it. 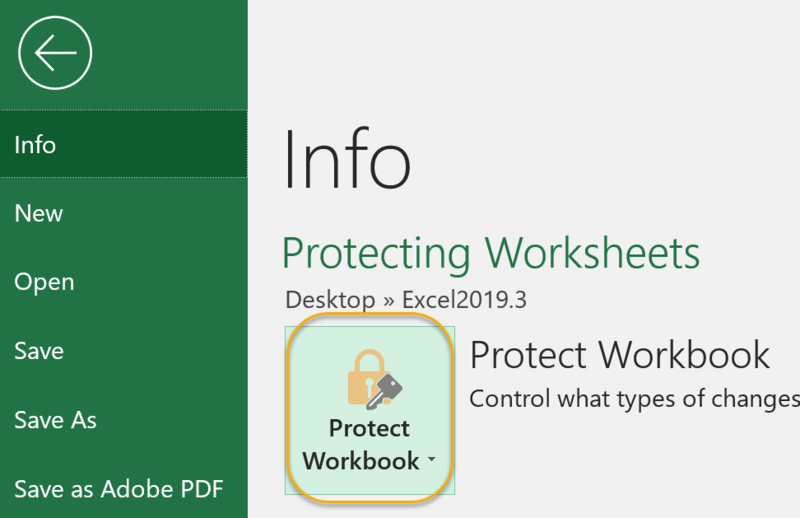 Open Protecting Worksheets.xlsx from your Excel2019.3/Exercises folder. Select locked and unlocked cells. Format cells, rows, and columns. Select any cell in the worksheet named Loans. Note that while you can't edit any of the data without unprotecting the sheet, you can change the formatting and use AutoFilter. Also note that the sheet named "Grades" is not protected, and thus is fully editable. 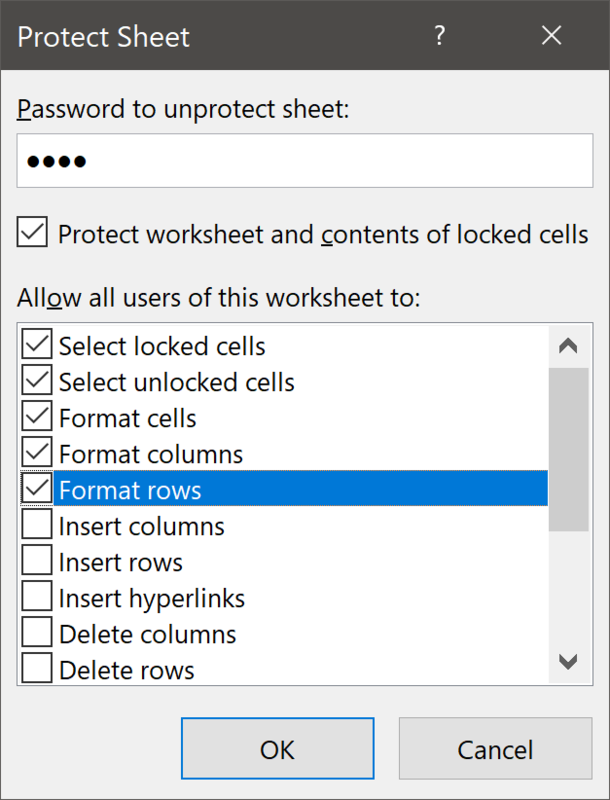 In this exercise, you will unlock cells in a worksheet before protecting it, thus allowing users to edit much of the worksheet, but protecting the formulas and structure of the worksheet. 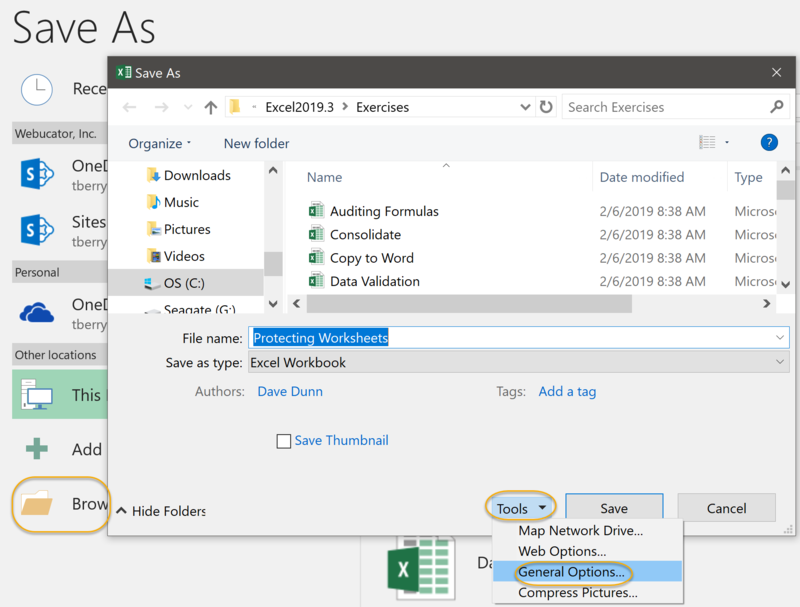 Open Protecting Ranges in a Worksheet.xlsx from your Excel2019.3/Exercises folder. Protect the worksheet so that users can edit cells D2:D5 (Periods), but cannot edit anything else. You can mark a workbook as final to discourage others from editing it. 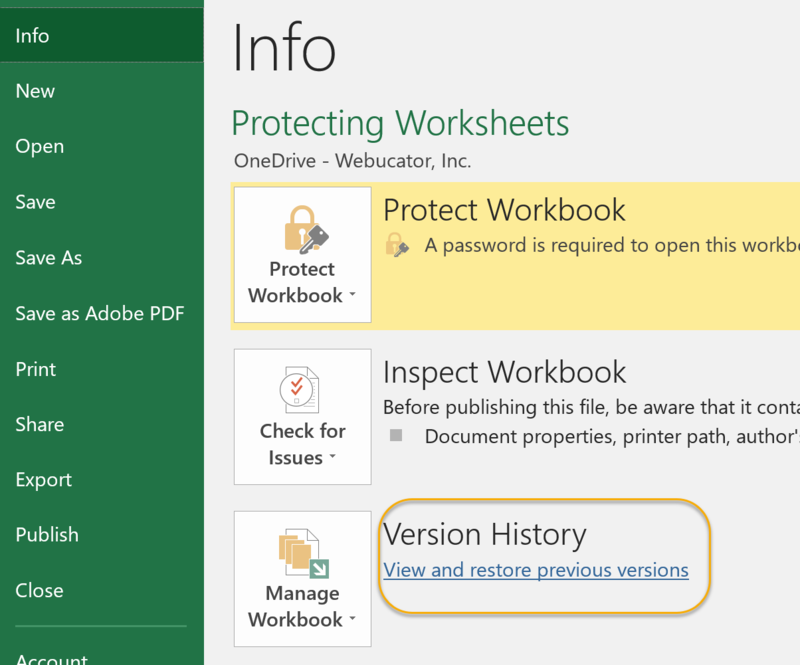 Select the File menu tab, and from the Info section, in the Protect Workbook section, click Protect Workbook. Select Mark as Final from the drop-down list. 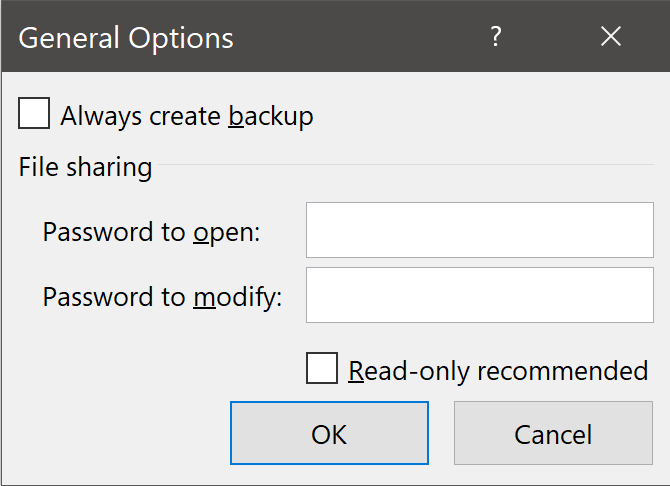 Click OK in the dialog box. Click OK in the next box that appears.